Moodle is the most common Open Source (open Software) Distance Learning System (DLS) in the world that allows to implement distance learning technologies. Having a sufficient experience in Moodle world and in distance education in general, we offer DLS/LMS integration to educational institutions (including schools, high schools, organizations, and training centers) for its automation and increase of effectiveness. First of all, of course, this is services for Moodle like: LMS Setup and Support, training of system administration, programming / development desired functional, but our solutions range is vast and not limited to only work on the organization of distance learning. In fact, many such projects always require range of support services and solutions. The most primitive support services are, for example, hosting (server for Moodle) or Moodle theme improve, more difficult is webinar organization for remote lectures, and also package of services of creating (beautiful functional WordPress websites), supporting and SEO/SMM-optimization of your external project to attract students (customers) for your business. 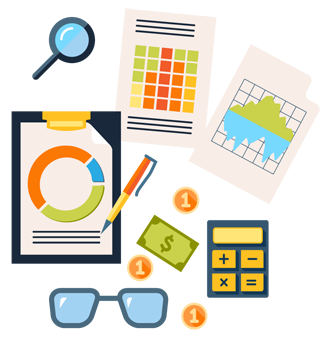 Learning Centers is a business in its classical form, which is based only on their strength and seeks to automate processes and reduce costs. Every company has its own standards and work features, longstanding employees can improve their skills and new ones quickly involved in the process. 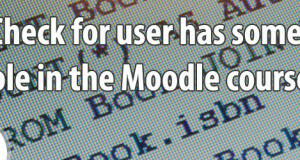 Many universities already use Moodle. This allows you to automate the monitoring of student performance and reduce the load on the «teach». Many schools do not have the introduction of LMS. Schools that integrated LMS mark of interest from parents to this system of learning. Moodle setup is quite an easy process, but its correct setting requires some knowledge and experience for a successful administration. Non-standard tasks are always exist. Here these tasks are solved by blocks/modules/plug-ins/filters. We take its uneasy development upon ourselves, so we'll program everything as it should be! 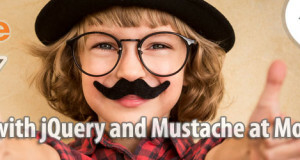 Webinars, hosting, creation and SEO of external resource, etc. If standard theme designs don't suit you, or it is needed a server setting up for DLS or creation and promotion of your basic website and other things, our knowledge and experience will be helpful. What else can be necessary? 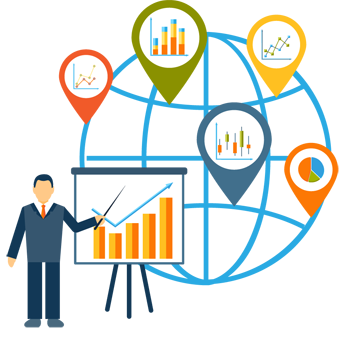 All business, including educational is a set of tools, a constant search of costs optimization and time for income incresement. Learning process automation is the essential tool for training centers that let to save time and gives opportunities for better income. 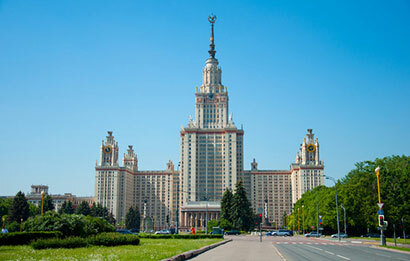 Most educational centers all over the world use Moodle as a basic or supplementary learning tool for their listeners. Your professors can check material retention quickly and students can solidify their knowledge efficiently. Your external website on WordPress + DLS/LMS = increase and automation of your income. What is the benefit for Training Centers? Students get paid access to your LMS and take classes. Minimum participation is required from professors during learning process. You'll forget about routine learning process organization for a long time, while have implemented LMS Moodle once. The only thing you'll have to do is to support and refresh the material. Most important resource of a successful business is human capital that is company employees. Company's development is in direct ratio to employees development. We offer employees/personnel distance education on LMS Moodle base. Each company has its own unique peculiarities in specialists jobs or the whole department in general. And what is necessary to do if your business doesn't cope with the introduction of new employees, or chief officers don't have enough time to share new knowledge with their employees? Moodle system will help you even in this situation. Just HR-specialists or heads of departments appear as professors, and your employees appear as students. Wish you much more successful business with qualified employees! So, courses are created, material is loaded, texts are generated. Now it's just needed to give an access to the required material for your employee and then generate a report. Time is money. Business always value time (also as employees). You automatize one of your business processes and save time due to the DLS introduction. Moodle is spread all over the world; its share among high schools DLS/LMS-systems comprises 95%. 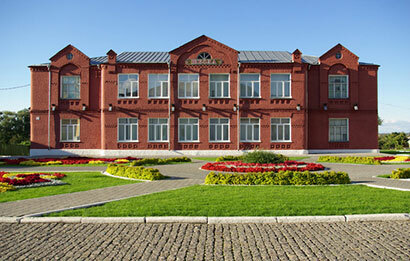 Nowadays learning process automation in Russian high schools implemented almost everywhere as with Moodle help, also as with the help of other systems. Somewhere better, somewhere worse, somewhere just nominally. We offer high schools to increase this activity using our solutions. DLS implementation with own courses development will increase educational level and students control. Moreover, it'll essentially simplify remote and distance learning organization. 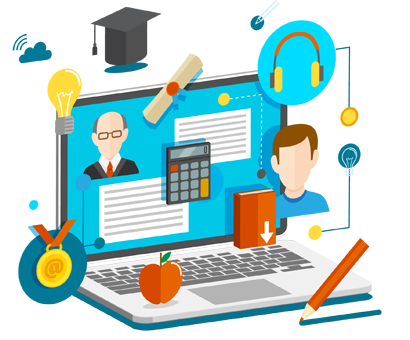 Core distance courses development in your high school will bring additional income with minimum costs on DLS support and introduction. 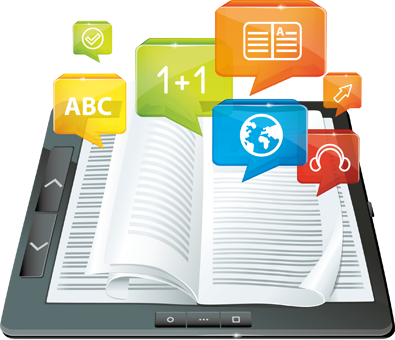 Initially the system was created to solve the whole range of tasks for higher education both for remote and distance. Moodle done a lot for 12 years. Allow your high school brings permanent revenue from distance courses organization due to its experience and specialization. Your high school will work with the right approach! LMS-Service offers schools and lycees services for Moodle system integration in their learning process. This will allow automatize learning processes and knowledge control of students, and also will make tutors' job easier and accordingly the whole school in general. Do schools in USA and in the whole world use this system? Of course, yes! Most US, Australian, and German schools (all in all more than 200 countries) have chosen DLS Moodle for automation their learning process. It's very easy to check — ask Google 'Moodle in Schools' and you'll see a great amount of internal DLS websites all over the world! Россия взяла курс на инновации во всех сферах. Ваша школа не на словах, а на деле докажет свою состоятельность и преемственность данному тренду. В рамках реформы образования школы стали финансироваться исходя из количества учеников. Своя СДО даст Вашей школе неоспоримое преимущество для родителей. Organized and read reports about WordPress in St. Petersburg. Welcome!